If there was a Master class on smashing corners this would be it. 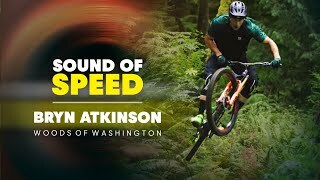 Bryn Atkinson Sound of Speed is an exercise on how to properly turn on a mountain bike! Class get your notebooks out and watch over and over as it will be on the exam!